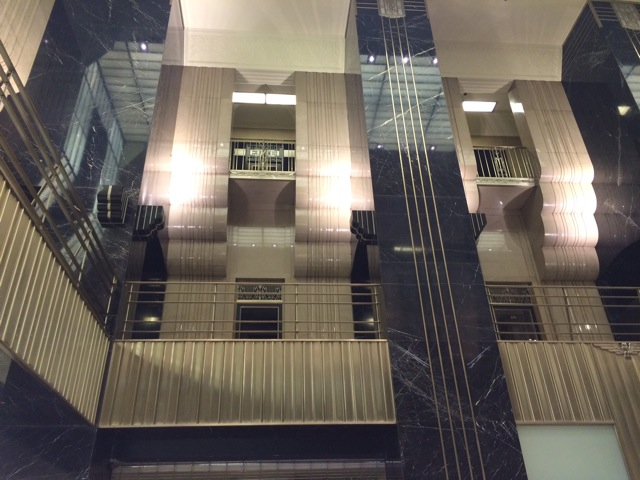 My wife Haidy and I visited the Board of Trade Building last Sunday, one of several wondrous sites featured during the Open House Chicago weekend. 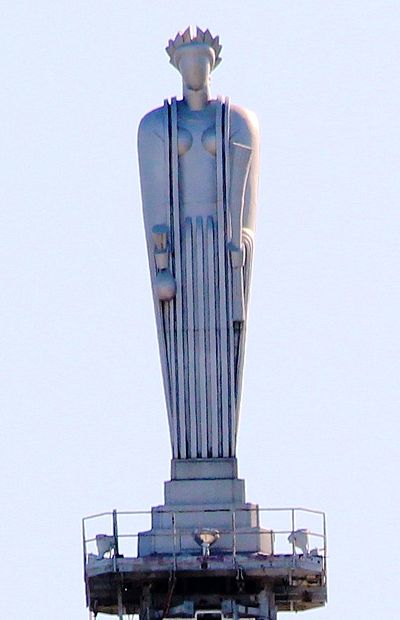 The goddess of grain, Ceres, presides from atop the lovely Deco building in homage to the crops that gave rise to Chicago’s robust grain trade. The building itself presides from the middle of LaSalle Street, in homage to the role that agriculture once played in making Chicago such a robust and glorious city. The building is located near the Chicago River, because decades ago, traders actually inspected the barge loads of corn, wheat and oats that floated in from the fertile Midwestern hinterlands; they sifted the grain through their fingers, then haggled and bartered over what they had seen and touched and smelled. Eventually, the crops were standardized (for example: #2 corn, 56 lbs per bushel test weight, 5000 bushels per contract) and the traders no longer needed to see or know the physical products; the crops became abstractions, the Chicago River became a recreational amenity. Today, the chasm between physical crop and cold commerce has become even wider. The rugged days of raucous face-to-face trading in the commodity pits have mostly given way to computerized trading. 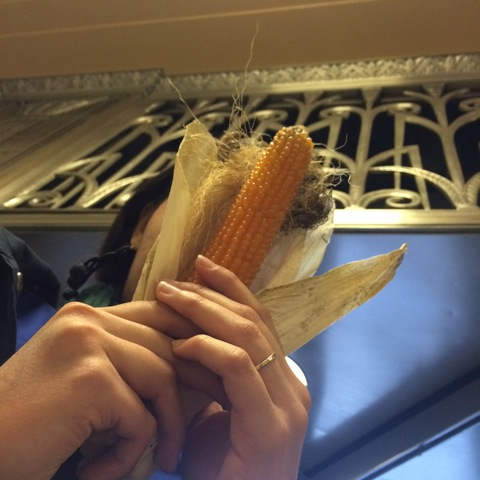 Corn, wheat, oats and beans have transmuted from actual crops on the barges of the Chicago River to sweaty flourishes of the hand in the trading pits to cold pulses of electricity. As part of the tour, we were welcome to visit the enormous vault on the ground floor of the building. The vault was filled with safe deposit boxes of many sizes; some of the boxes were bigger than a bushel (1.2445 cu ft). The largest ones might have exceeded 2, maybe even 3 bushels in volume. Immense fortunes must have once been stored in these boxes, perhaps to be lost one sudden day in the trading pits, and maybe replenished the next. The vault was no longer used; the cavernous, lustrous vault was eerily barren. Many of the safe deposit doors were open; drawers extended out from the sleek, metallic interiors. In spite of its delightful deco-ness with its motifs of grain, its prominent location in the middle of a busy street and its statuesque muse that gazes out upon Chicago, I felt that today the Board of Trade building was missing its primal connection to the rich soil and the bountiful crops that gave rise to the edifice. I consequently snuck an ear of Angelic Organics popcorn into one of the safety deposit boxes and slid it shut, where it now secretly glistens like gold. The Farmers’ Markets and the Community Supported Agriculture Movement of Chicago today re-capitulate the days when its citizens actually knew the crops they were buying. Chicago is once again being bolstered by Chicagoans touching and smelling the crops that its outlying farms grow. 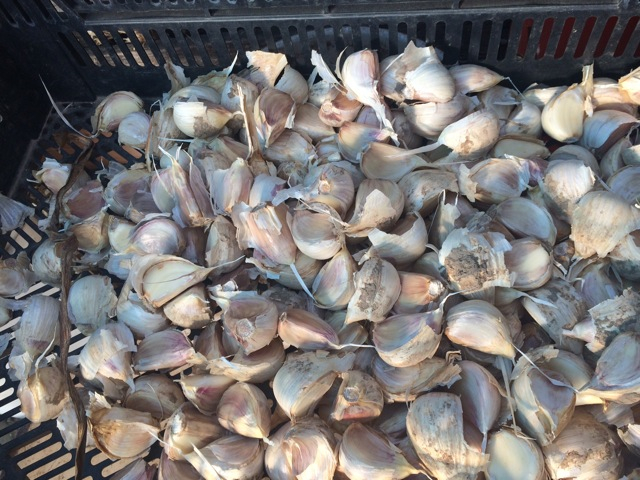 Our 2015 garlic crop is all planted. We increased the garlic acreage by 50% for next year, so our shareholders will receive more of our popular German White Porcelain Garlic next season. Large cloves of German White Porcelain Garlic seed, now in the ground, germinating. 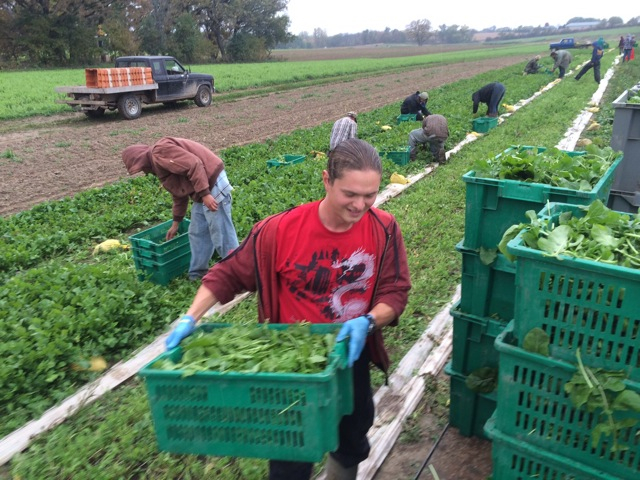 Kamin runs to the truck with arugula, while the rest of the crew races the rain to get the crop harvested. Warmish weather this past week, with daytime temperatures in the 60’s …great for mid-October. It makes the salad greens grow and makes the work more pleasant for the crew. 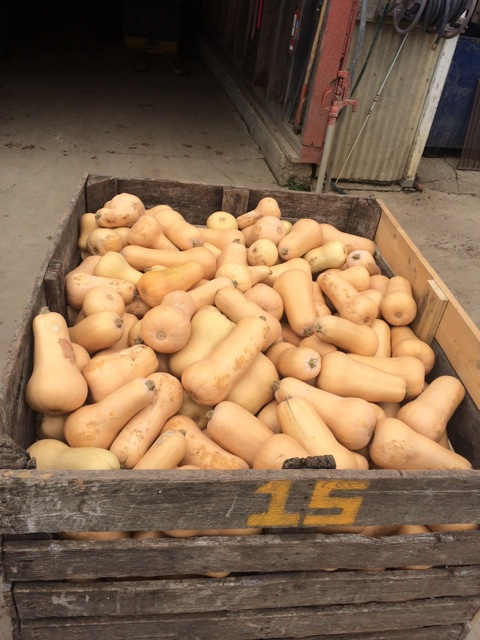 This past week was the last week of our full season harvest. Now we have about 40% as many boxes to pack each week for the extended season shares. Besides harvesting and packing, the crew will be tidying up spaces, doing inventories, and winding down between now and Thanksgiving. Cornbread from the Ground Up!Check out these three fun classes for families coming up at the Learning Center this November! Plus, we have a special offer: 10% off any and all fall classes! Use the discount code “FALL201410AOSHAREHOLDER“. Expires on December 1, 2014. Please pre-register for all programs at www.learngrowconnect.org/events.